I am someone who enjoys giving my attention to a variety of projects at the same time. I am a great multi-tasker. And it used to be a bit crazy-making for me when I would give the same amount of attention to each project and yet the amount of time for the results to show up would always be different. In other words, I thought equal attention would mean equal results. So, I would often get frustrated when my reality was different from my expectations. In sharing one of my frustrating experiences with a friend, they encouraged me to get out from behind the computer and spend more time in nature…if for no other reason than I might feel more relaxed and gain a different perspective on the situation. This ranks as one of the best pieces of advice I have ever received because what I learned in nature is what makes it possible for me to be even more ‘attractive’ to what I intend to attract. While hanging out in the park near my home, I took special notice of the grass, the trees, and the flowering bushes. I noticed that each one grew to be its own size and shape…despite receiving the same amount of water and nutrients from nature. If any of the bushes were the same size and shape, it was because the landscapers had cut and trimmed them into an artificial shape. That’s the moment I realized that I had not been treating and tending to my projects and goals in an organic and natural way. I was also pushing and forcing them to fit a certain mold or expectation. I made a conscious choice at that moment to trust that the outcome of each of my various projects will be exactly what I intend them to be…as long as I focus on giving each project what it requires for as long as it requires to grow fully into a blooming stage. Now, I like to think of the cycle of achieving my goals as the same one I must respect when tending to my garden. This concept is not new. Many people throughout history have compared the development of a business or project to the life cycle of nature. What I love about this concept is that it provides me with a consistent energy surge – a reminder that while I focus on achieving my B-All – some of my goals along the way will be easier to achieve when certain specific conditions are in place. The 4 stages of attractive goal achievement are similar to the stages of the growth of a garden: Seeding, Sprouting, Blooming and Resting. During the Seeding stage, it is reasonable to expect that it is going to take a certain amount of time and a lot of concentrated energy before we will ever see that first sprout. Each activity implemented and completed towards your goal will require much planning and fore-thought to ensure that it will produce a result…even a small one. In the Sprouting stage, you are beginning to produce the proof that your efforts in the Seeding stage are paying off. However, your goal or project is still not anywhere close to fully blooming. Activities centered on watering and nurturing the goal are still important to do on a daily basis. However, slightly less attention is required, which usually leaves time to start Seeding another goal or project that can also grow in your B-All Garden. In the Blooming stage, all the activities you implemented in the Seeding and Sprouting stages have produced an energy surge resulting in an entire goal being achieved. 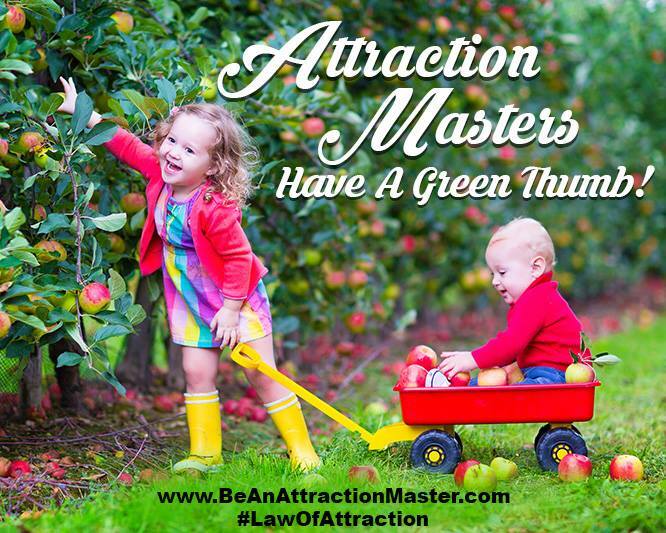 This is the stage where you can now harvest the rewards of your focused attention and the celebration provides a burst of energy with which to nourish the other goals in your B-All Garden. Depending upon the life cycle of the project and how much it was nurtured during the Seeding and Sprouting stages, it is likely to move into the Resting stage at some point. Most people forget that a goal may need to rest before it can bloom again with renewed and vibrant energy. While the Resting stage may seem anti-climactic or even disappointing when it arrives, the benefit of having a goal in the Resting stage means there is more time to devote to the other goals and projects in your B-All Garden. Although I am mixing metaphors here…it is the reason why we don’t want to put all of our eggs in the same basket. Planning our year ahead to take advantage of the best times to seed our goals for the diversification of sprouting, blooming and resting stages is how you will become more ‘attractive’ and enjoy prosperity all year long. And, that is how to get to your blooming phase of your ‘attractiveness’ faster! I would love to hear how you are growing your B-All Garden. What stage are your goals and projects in right now? How many are you growing at the same time? If you enjoyed this post, you may also like these posts on Tending To Your Goals… CLICK HERE to read them.